This year we learned more men than ever before are seeking out nonsurgical cosmetic treatments, like Botox (or “Brotox”). 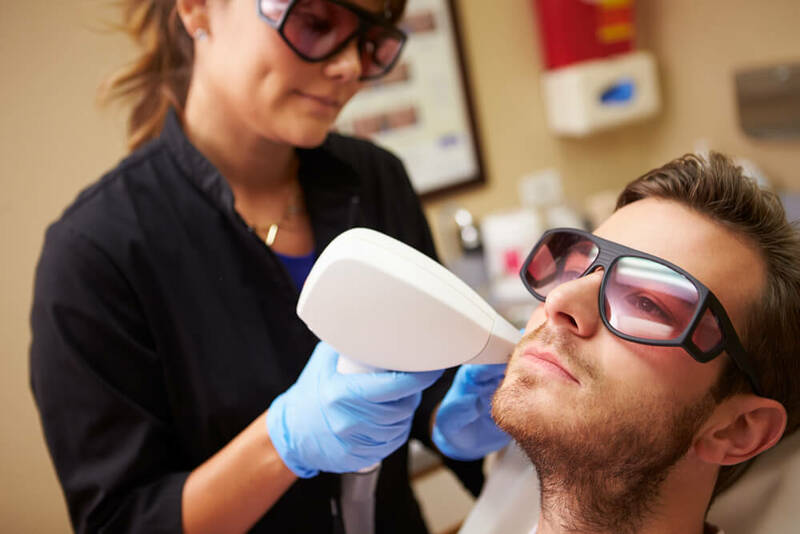 But a recent survey by Acara Partners says 52% of millennial males prefer nonsurgical cosmetic treatments like facials, acne, anti aging and hydration services over cosmetic procedures. This isn’t too surprising given the advancement of cosmetic laser technology over the last decade. Treatments that help reduce wrinkles, age spots, sun damage, hair removal, acne, scarring and more have been successful within the female market. However, millennial men are just as concerned about their appearance as well. It only makes sense to target these types of skin care services toward males. Skin care professionals like aestheticians, cosmetologists and medical professionals are capable of providing these types of services to clients only if they’ve had proper training. With the rise of the male market, it’s never been a better time to receive medical aesthetic training. Only medical professionals are qualified to perform cosmetic injectables (Botox, dermal fillers) but in most states, aestheticians, cosmetologists and those who might want to switch careers into the skin care industry are able to receive cosmetic laser training. Cosmetic laser training takes roughly two weeks to complete. At National Laser Institute, the leading medical aesthetics school in the nation, our 2-week comprehensive laser training course covers hands-on training with a variety of skin care treatments, like laser hair removal, IPL photofacial skin rejuvenation, radiofrequency skin tightening, acne reduction, cellulite reduction and more! This 2-week comprehensive laser training course is led by leading aesthetic laser experts in the field. Clinical training takes place inside a luxury medical spa environment where attendees treat real clients under professional supervision. To learn more about National Laser Institute or cosmetic laser training, simply call 800-982-6817 or fill out our form on the right.